Due to the recent developments in Tunisia, the Austrian OMV pulls back to a large extent. The cardboard manufacturer Mayr-Melnhof stays on. 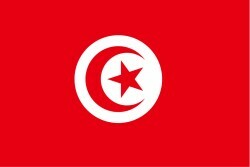 The continuing unrest and unstable situation in Tunisia is also forcing companies to withdraw their personnel in part by now. Sources from OMV declare that "Due to the current situation, we are reducing our staff to the minimum necessary. All other OMV expatriates and their families, about 50 people, including 15 Austrians, are being withdrawn from the country."